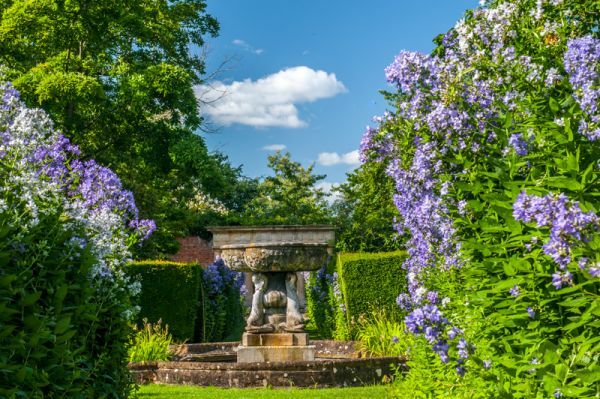 Spetchley is a 30-acre Victorian garden has been lovingly tended by successive generations of the Berkeley family (a branch of the same family that owns Berkeley Castle in Gloucestershire). Formal and informal meet and mingle in a happy exuberance of plant life, with views out over the Malvern Hills. In 1605 a wealthy merchant banker and wool merchant named Rowland Berkeley bought the Spetchley estate, and its 16th-century manor house. In the buildup to the Civil War Battle of Worcester a band of Scottish Presbyterian Royalists burned the house to the ground so that Oliver Cromwell could not use it as his headquarters. All that remains of the Tudor house is a section of the moat. 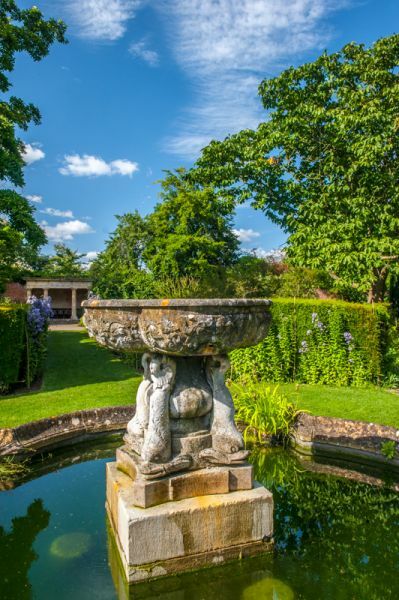 Things are much more peaceful today, however, in part due to the large gardens laid out in the early 19th century by Robert Berkeley and his wife, Rose. Rose's sister Ellen Willmott was a keen horticulturalist and helped her sister design much of the garden. 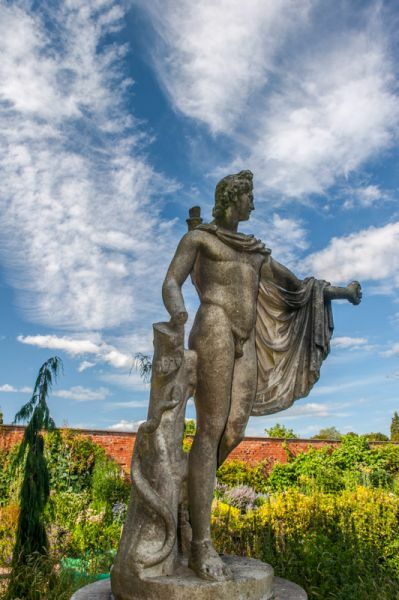 Another, more famous, helper was diarist John Evelyn, who advised Rober Berkeley on his landscaping and planting. Composer Edward Elgar was a frequent visitor and was often to be found fishing from a boat in the lake. Look for an oak tree planted from an acorn collected by Winston Churchill from his favourite tree at Blenheim Palace. Churchill's Oak is at the end of the Long Walk, facing a Cedar. 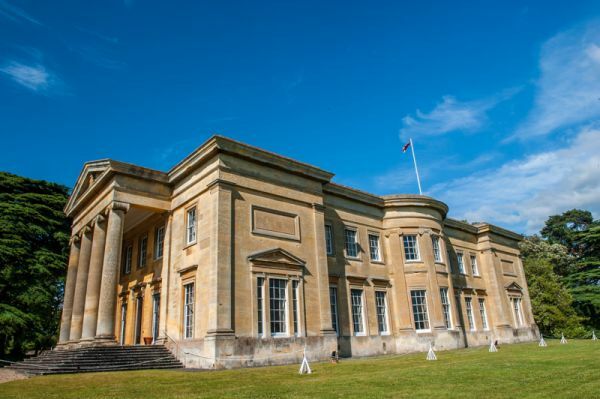 The elegant house was designed by John Tasker in 1811 to replace an earlier Elizabethan mansion. The mansion was destroyed by fire on the eve of the Battle of Worcester in 1651. The house stands on a sloping lawn, almost dwarfed by a massive Cedar of Lebanon, and looking out over a large lake at the bottom of the slope. The lake was created in 1834 by enlarging the moat that once protected the Elizabethan house. 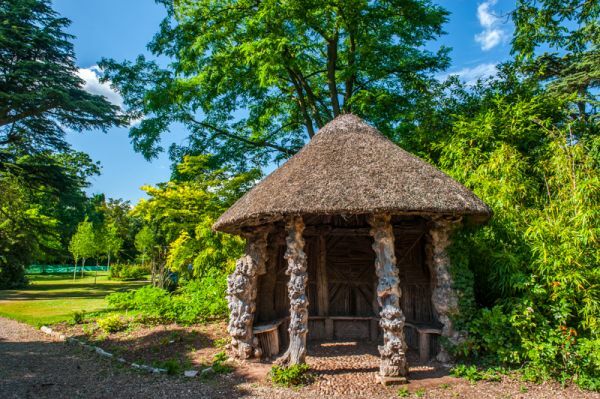 A walking trail leads around the lake to the New Lawn, planted as an arboretum then on to the Root House, a thatched summer house created in the early 19th century from the bark and roots of several trees. 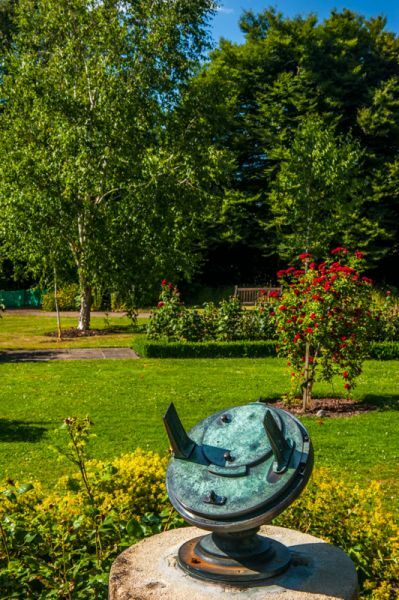 Beyond the Root House is the Rose Lawn, with beds of several different types of colourful roses arranged around an old sundial. In the grounds of Spetchley Park, beside the stable tearooms, is the historic church of All Saints, with some wonderful monuments to members of the Berkeley family, the earliest dating to the 16th century. There is an early 16th-century memorial brass by the altar, a Norman font bowl, and a pair of ancient parish chests. All Saints itself dates to the 14th century and is now redundant and cared for by the Churches Conservation Trust. It is open daily during the garden open season. I was enormously impressed with Spetchley Gardens. 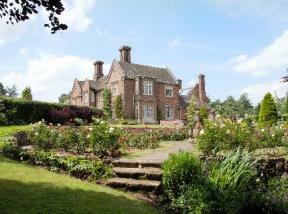 The setting is superb, with wonderful views out over a sloping lawn beneath the mansion. 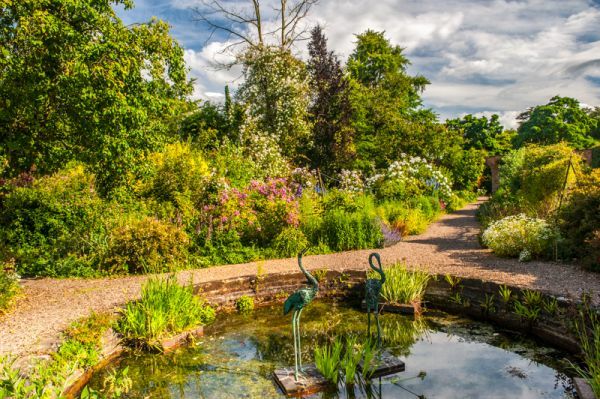 Each garden area seems half-hidden from the next so that you constantly catch glimpses of colour just around a curving hedge or beyond a clump of carefully arranged trees. We visited in July, at the height of summer colour, and the gardens were positively lush with vibrant blooms. The massed borders. bounded by brick walls, were amazingly colourful, and there were constant surprises, like fountains and classical statues, adding a touch of intrigue. There were benches arranged in quiet corners, shaded from the sun, offering the chance to relax and enjoy the sound of birds and watch the flowers gently moving in the breeze. 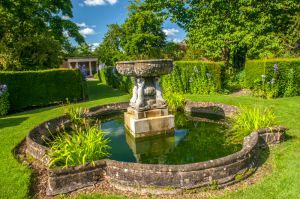 Spetchley is a delight to visit, and a wonderful place to spend several peaceful hours wandering.